US-based Muck Boot was established with the sole purpose of building the most comfortable, high performance footwear on the market. The need for a more comfortable boot for use in messy and tough conditions led to the design of The Original Muck Boot Company branded footwear. With Big Apple Buddy’s personal shopping service, you can now buy direct from the Muck Boot online store anytime, anywhere. The Muck Boot Woody Plus is the ultimate top-of-the-line hunting boot for the toughest conditions and challenges. Extremely warm lining and insulation package, wide-lug multi-direction tread, and scent blocking, these boots are a must have for any serious hunter. 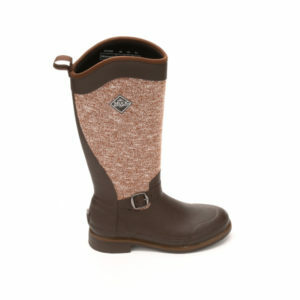 The Muck Boot Reign Supreme Tall has equestrian detailing with a stylish heathered knit upper and heel kick finished off with a classic side buckle. 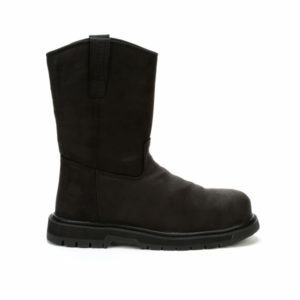 The warm fleece lining makes these boots the perfect winter footwear, that can handle the toughest of conditions. The Muck Boot Wellie Classic Composite is a mid-height full grain leather pull-on that is all about comfort on hard surfaces. 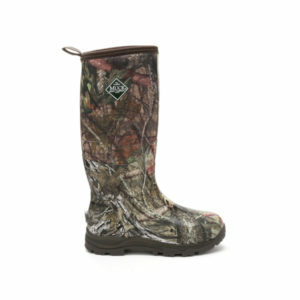 The boot’s shock absorbing outsole and Gel-Core sub-sole adds the cushioning you need while standing on tough surfaces. It is 100% waterproof, breathable and displaces moisture effectively to keep cool in the summer and warm in the winter. Unfortunately, the USA Muck Boot online store does not currently offer international shipping. However, Big Apple Buddy, your personal shopper, can help you buy products direct from the official USA Muck Boot online store and ship them to your doorstep, no matter where you are in the world. We offer international shipping to over 110 countries including Australia, Austria, Azerbaijan, Bahrain, Belgium, British Virgin Islands, Brunei, Bulgaria, Canada, Chile, Costa Rica, Croatia, Czech Republic, Denmark, Estonia, Fiji, Finland, France, French Polynesia, Germany, Gibraltar, Greece, Greenland, Hong Kong, Hungary, Iceland, Indonesia, Ireland, Israel, Italy, Japan, Jordan, Kuwait, Latvia, Liechtenstein, Lithuania, Luxembourg, Macau, Malaysia, Maldives, Malta, Marshall Islands, Mauritius, Monaco, the Netherlands, Netherland Antilles, New Zealand, Norway, Oman, Poland, Qatar, Romania, San Marino, Saudi Arabia, Serbia and Montenegro, Seychelles, Singapore, Slovak Republic, Slovenia, Spain, South Africa, St. Lucia, Sweden, Switzerland, Taiwan, Thailand, the UAE, the UK, Vatican City, and Vietnam. If you would like to buy from the USA Muck Boot online store, simply let us know which items you would like to order (by filling out the form below) and we’ll get back to you with a free international shipping quote within 24 hours!